Because I usually work right to the edge of the paper, float mounting the artwork seems the best solution. If this is onto a block as shown below (frame 1). 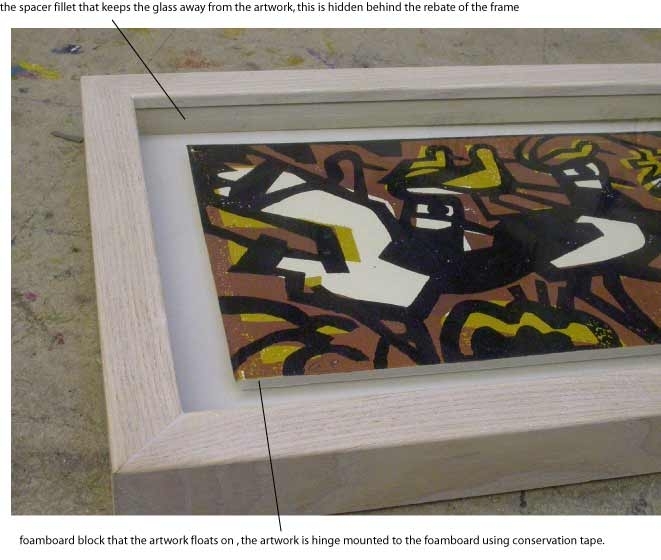 I am typically then leaving a fairly narrow margin between the artwork and the moulding, eg 3-4 cms.